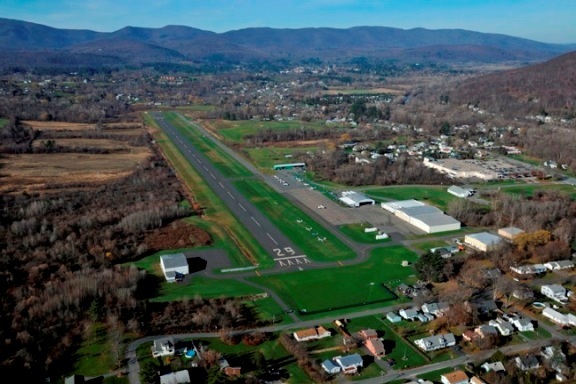 On this day we departed Wurtsboro Sullivan airport and headed south down the Hudson river. 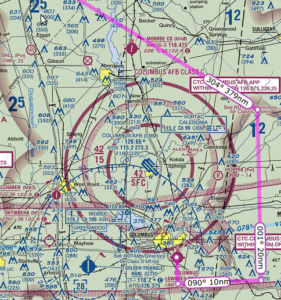 I was so excited for this day as I had planned and read up on everything I needed to do to fly the Hudson River VFR corridor. 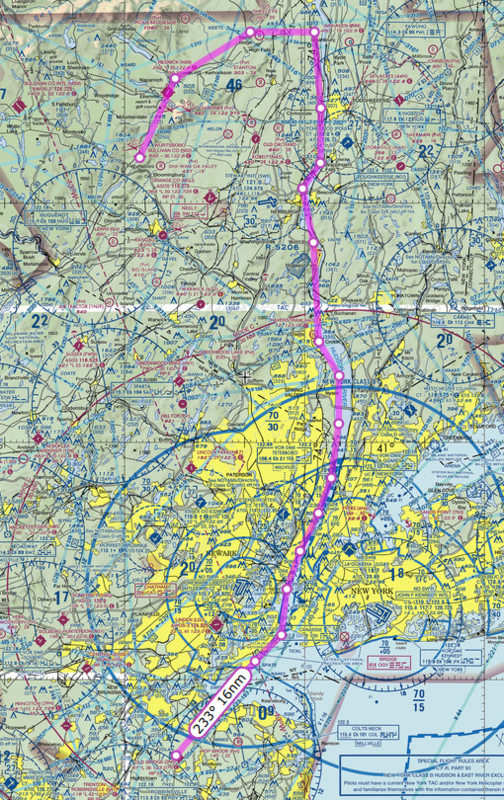 Flying down the Hudson at 1000 feet from where we started required me to get clearance through two Class D air spaces. The first one was Dutchess County (POU), where I accidentally called them “Poughkeepsie Tower” but at least they knew what I meant. The second one was Stewart (SWF) and they were both very accommodating and understood what I was doing. There is a lot to see flying down the river. 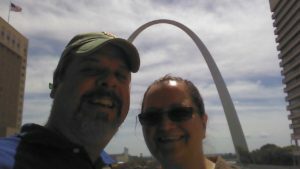 If I were to do this portion of the trip again I would have a tourist map next to me because there were so many things to see. 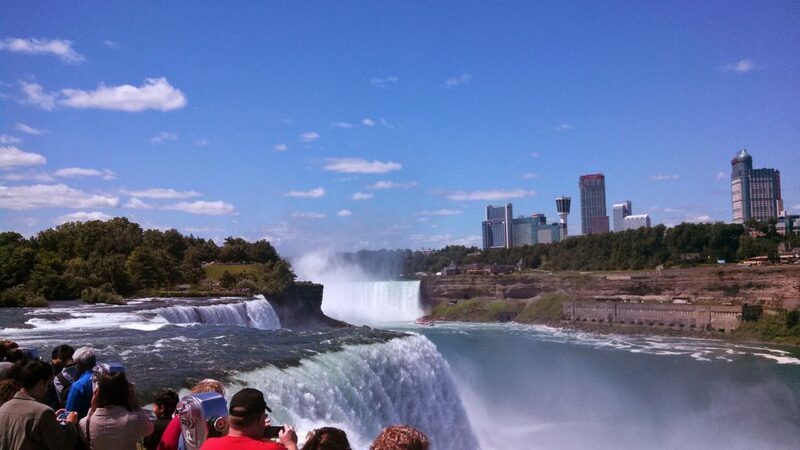 At this point my wife was snapping pictures in all directions all the way to New Jersey. 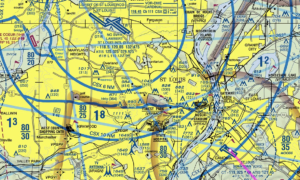 The FAA Safety site published a simple knee-board document that covers the basics of what one needs to know when flying down the Hudson VFR. This doc was very useful and easy to follow. The reporting points are very easy to see and made it no trouble whatsoever to self-announce at the designated points. I kept our airspeed relatively slow at about 90 knots, which made me feel less nervous and gave me time to see and plan for each potential hazard. Flying over the George Washington Bridge at 1000 feet is a bit intimidating, the first time, and I needed to focus to make sure I was clear of all obstacles. 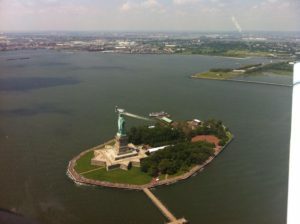 The only time I got more than normal nervous was when we were approaching the Statue of Liberty. As I was passing the Colgate Clock, I could not get a word in on the CTAF as the heliport operators were chatting away about refueling and picking up passengers and who was getting the coffee. I slowed the plane down and finally blurted “Blue and White Cherokee, Colgate Clock, Southbound Jersey Side, 1000 feet, descending to 500 passing just east of the Lady, then ascending to 1000 over the Verrazano”. Now I had the helicopter pilots attention and they graciously agreed to stay west of the Lady for a minute while I passed. I thanked them for their willingness to cooperate and promised to get out of the way as quick as possible. 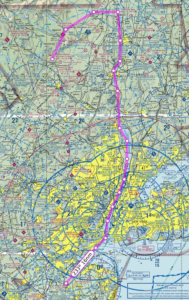 We then continued over the Verrazano Bridge, followed the South Shore of Staten Island for a while and then headed south toward 3N6 Old Bridge Airport in Old Bridge New Jersey. 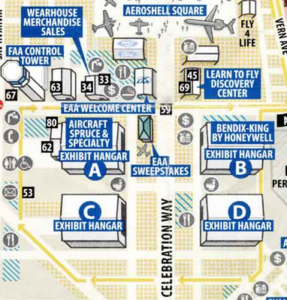 This airport is right next to a drag strip and from a distance it is hard to tell which one is the airport and which one is the drag strip as the are aligned almost parallel to each other. 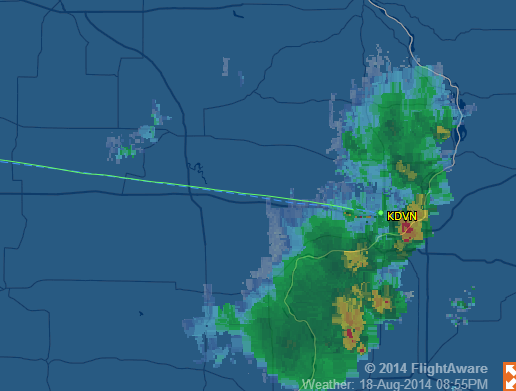 To be sure I overflew the field and then entered a right downwind pattern to landed to the south. Nice folks at this airport. They charged me $5 a night for a tie down space. Fuel was reasonably priced, at least compared to other airports in the area. We stayed here three days visiting with the Wife’s family on Staten island. My wife’s aunt really wanted to go for a ride in our plane. It seemed like a nice thing to do so I planned out a ride up the Hudson and back down. This time I was feeling much more confident in the trip and knew exactly how to handle the traffic and radio. We took off from Old bridge, turned north and came up the Hudson, flying on the right side (NYC) and got to see all the sights going north. We went all the way up to the Tappan Zee Bridge and then turned around and came back down on the Jersey side. This time as we approached the Colgate clock I negotiated with the helicopter pilots and they let me get low and slow next to The Lady and I thanked them greatly for all their cooperation. 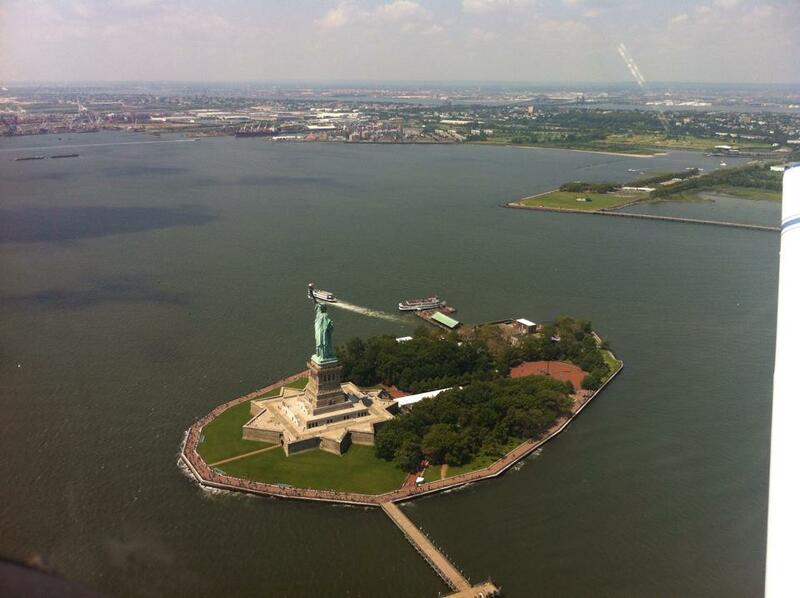 My passengers really enjoyed being able to look Lady Liberty right in the eyes and take a picture of her. My wife’s aunt was quite funny. She asked me to go under the Verrazano. I did think about it for a moment but decided it was best to go over and not under. We spent the next few days there on Staten Island visiting with family, cooking, eating and enjoying the summer weather. We had to delay our departure one day and perhaps it should have been two days. Today we departed Old Bridge New Jersey. 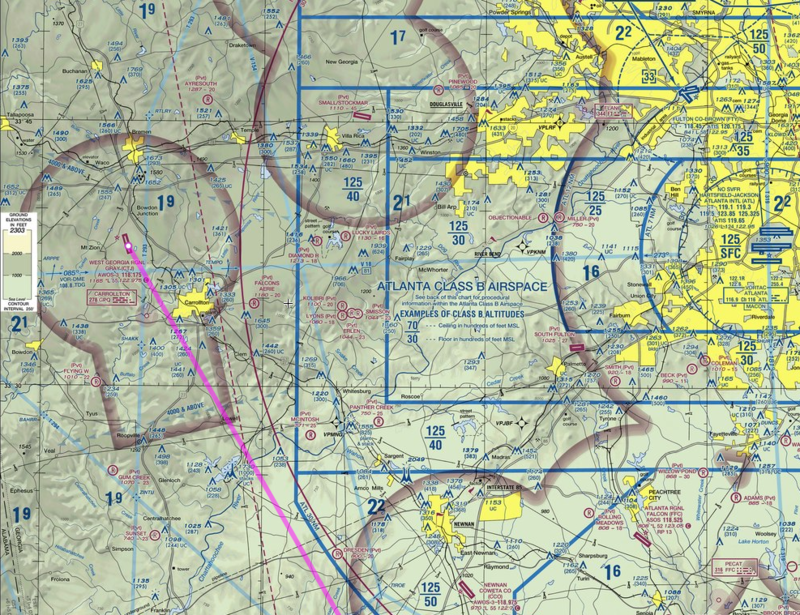 The plan was to fly west on the north side of the Philadelphia airspace to the Pottstown VOR (PTW) then turn southwestward to the Westminster VOR (EMI) and then land at KGAI Montgomery County Airpark in Gaithersburg, Maryland to visit an old friend. 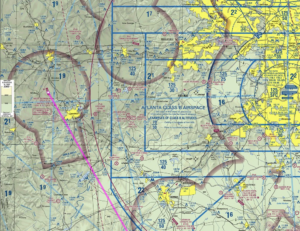 I spent quite a bit of time over the previous days making sure I knew exactly what I needed to do to fly into the restricted airspace around DC. 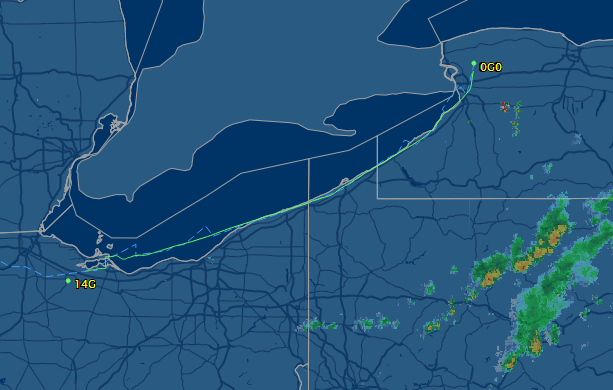 Essentially it came down to at a minimum being on flight following and making sure they knew we were headed towards DC. 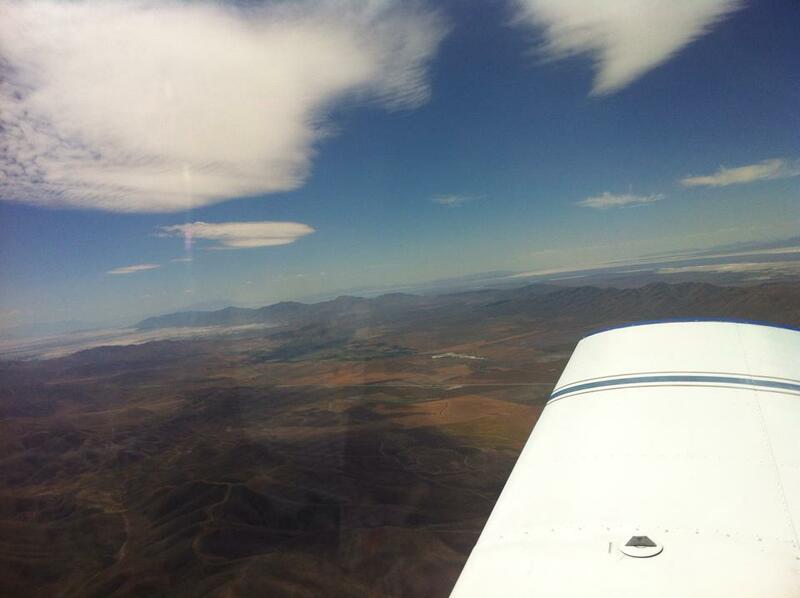 The weather that day was reporting as marginal VFR for the entire route. Broken ceilings were forecast for an average of 1500 feet the whole way. The cloud layer itself was only predicted to be about 100 feet thick. 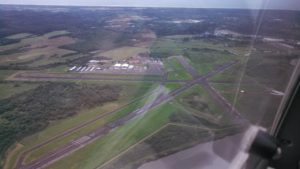 Once airborne from Old Bridge airport, I contacted ATC and got on flight following and made my intentions to enter the restricted space clear. They understood and issued me a squawk code and asked me specifics of my route. 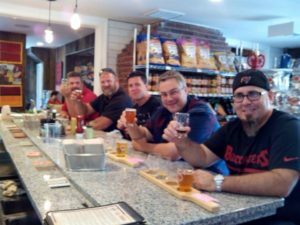 I explained that we would head west to the Pottstown VOR PTW then southwest to the Westminster VOR EMI then south to KGAI. We were all set with ATC and continued our flight. The ride underneath the clouds was pretty rough so I decided to climb above it at the first opening, which we did. 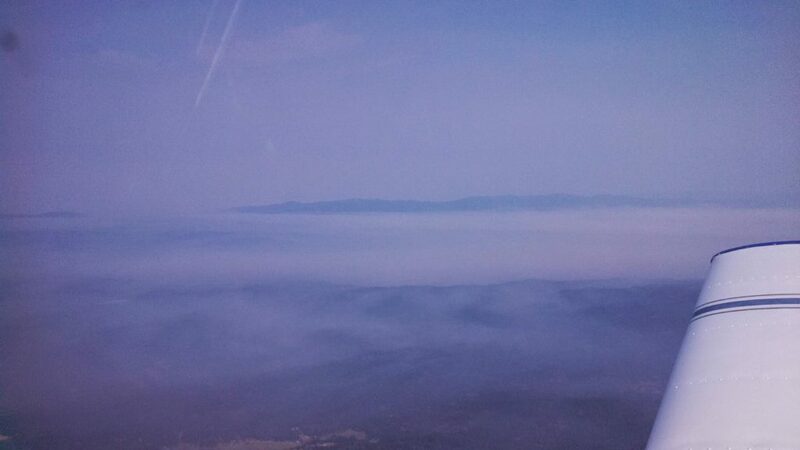 This was going great and were were essentially VFR on top of mostly solid cloud layer at about 2000 feet. All was going great until we got a bit east of Philadelphia, just past the Pottstown VOR. A second layer of clouds formed above me at about 3000 feet so I was now between layers. This was not a problem as I could clearly see sky between them all along our route. At least until all of sudden they closed up and I was in the midst of a moderate rain storm in Instrument Meteorological Conditions (IMC). I must admit I was caught off guard. The radar showed nothing and there were no rain storms predicted for that day. Also the weather conditions did not show a rain storm, at least not in the way I am used to seeing them. The weather that day was strange indeed. 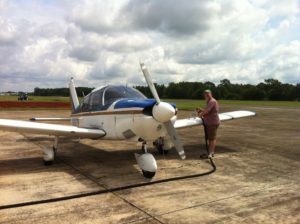 I was not really worried about it as I have an instrument rating, but I am way out of currency. The storm however made things a bit hairy. So I radioed approach and let them know what happened. I instantly had the controller’s attention and he started helping me get back out. Turning back was not really an option as the clouds closed in around us and turning back would keep us in the same situation. I knew that the cloud layer ended at about 1200 feet so I reduced power, kept the wings level and began a slow descent out of the clouds. 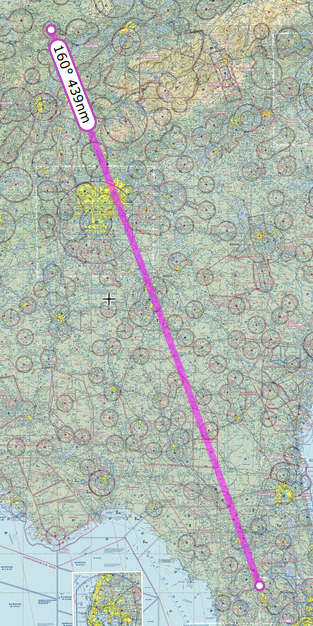 In the mean time ATC informed me that no airports along my route were VFR at this point. Great! Now we are stuck. 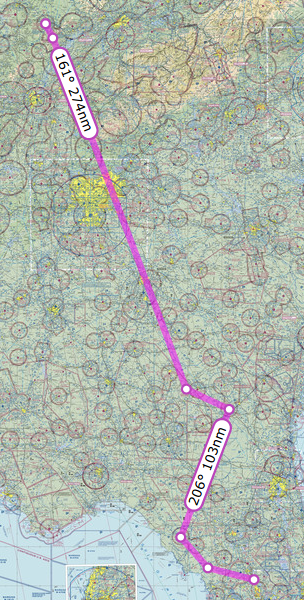 I asked for vectors to the nearest VFR airport. The nearest one was KILG New Castle Airport in Wilmington, Delaware. The rain was pretty heavy at this point and we were getting pushed around some by the wind. I informed ATC about the storm and they had no idea there was rain happening at that location. I was instructed to continue my descent until clear of the clouds and report field in sight. I did as instructed and then landed on runway 14 at KILG. As we were taxing in ground control informed me that Philadelphia ATC asked for a contact number. I supplied one and expected I was probably going to get an arse chewing for flying into IMC conditions. We parked at the FBO and topped off our fuel. I again checked all the weather conditions, and outside of this storm, everything along my route from this point showed MVFR. I was perplexed. We made an attempt to get out of KILG and finish our flight to KGAI but it was no good. Low lying clouds all about and there was no safe route out. So, we landed again and spent the night at a nice hotel. The Atlantic Aviation FBO folks were so kind. After arranging a special rate for us at a hotel, they even gave us a ride over and said they would come pick us up in the morning if we called. I give them five stars for customer service. We got a good dinner in town, a hot shower and a good night of sleep. The weather this day was much better. 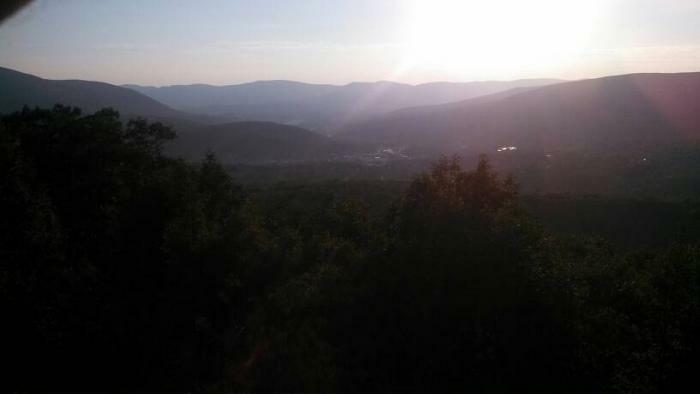 We departed KILG and headed for our fuel stop of KMKJ Mountain Empire in Virginia. I got on flight following as soon as I could with Pittsburgh and I am glad I did. 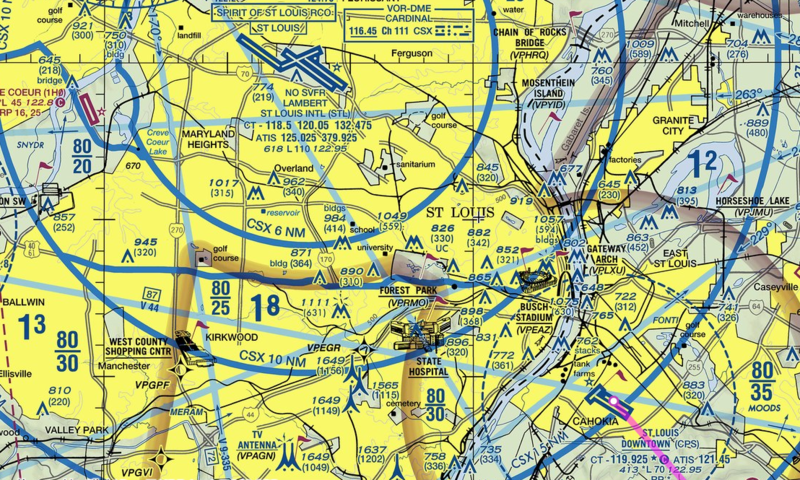 When I was doing my morning flight brief I saw the usual TFR’s in effect around DC, but ATC would not let me go directly through, so I had to route around DC. One interesting point. After my request for flight following the Philly ATC repeated twice to me “Maintain VFR at all times” I had the thought that they might have flagged my tail number, since my incident with the storm the day before. 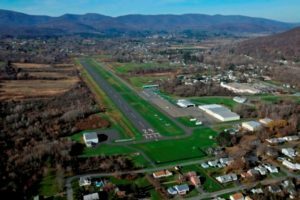 I want to give some kudos to a great little airport in VA called Mountain Empire. KMKJ. These folks are super nice. Stopped for refuel once before and the service was excellent. Full service fueling at a lot less than any other airport in a 50 mile radius. If you have reason to stop it is a great place. We borrowed the courtesy car and drove a mile south to a local eatery called the Red Barn Restaurant and had a nice home-cooked meal. 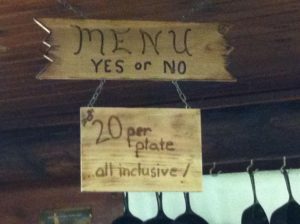 If you ever get the chance to stop in, try the stuffed peppers. After refuel we took off again and continued on our way to Crossville, TN. 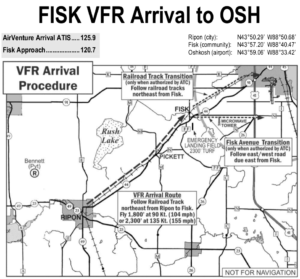 I picked up flight following and again ATC again made me read back to them “Maintain VFR at all times”. Okay I was getting a bit paranoid. KCSV Crossville Memorial-Whitson Field Airport in Crossville, Tennessee was a great little airport for our stop. Fuel was reasonably priced, parking was free and the airport was well kept. On the flight into the airport I requested the runway 26 ILS approach, just for practice as the weather was clear, only to find out that the glideslope was out of service. Oh well. Lastly the terrain around the airport was spectacular to view. To the south was a ridge line, to the north was some beautiful rolling hills and east to west was a river valley full of green fields. What a great view. 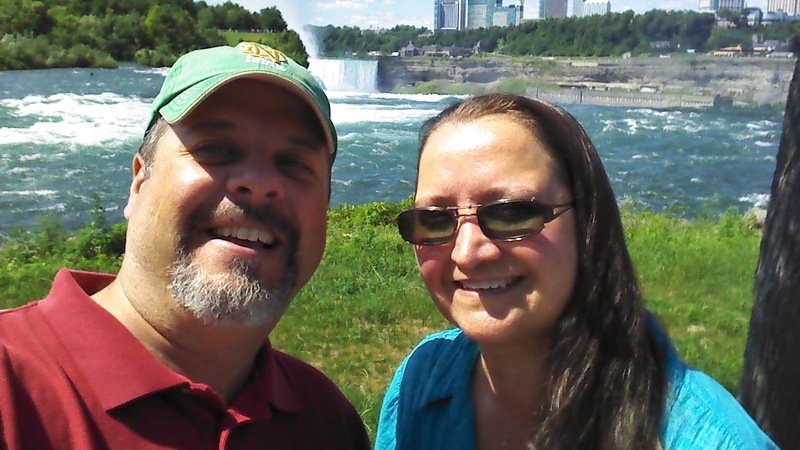 We spent the next week there in Crossville visiting my father-in-law at his summer condo. We had a great time sight-seeing and trying some local cuisine. 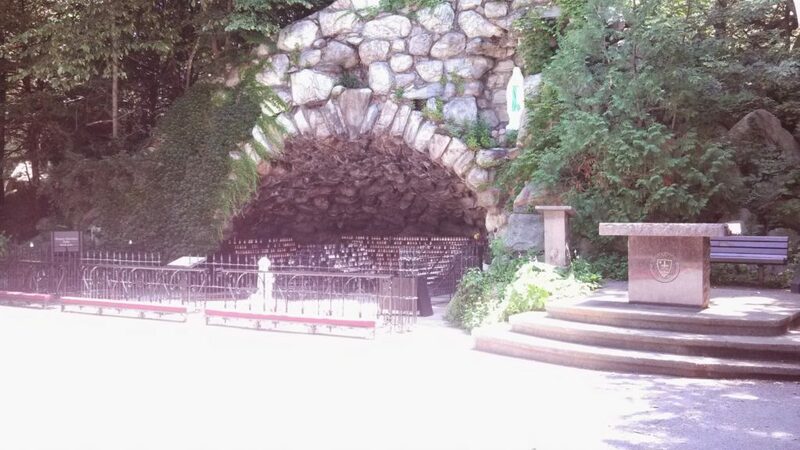 What a wonderful place with lots of beautiful scenery. On this day we departed Crossville for our final journey home. The weather was partly cloudy in Crossville but the clouds were plenty high enough that I could see the mountain ridges well below them. We took off and started flying south. 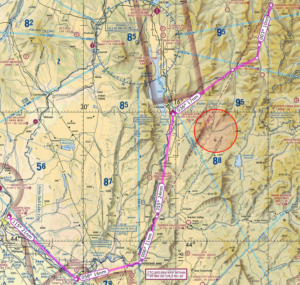 I attempted to get on flight following immediately with Atlanta Approach but the radio reception was very weak until we flew just south of the first mountain range by the Hinch Mountain VOR. 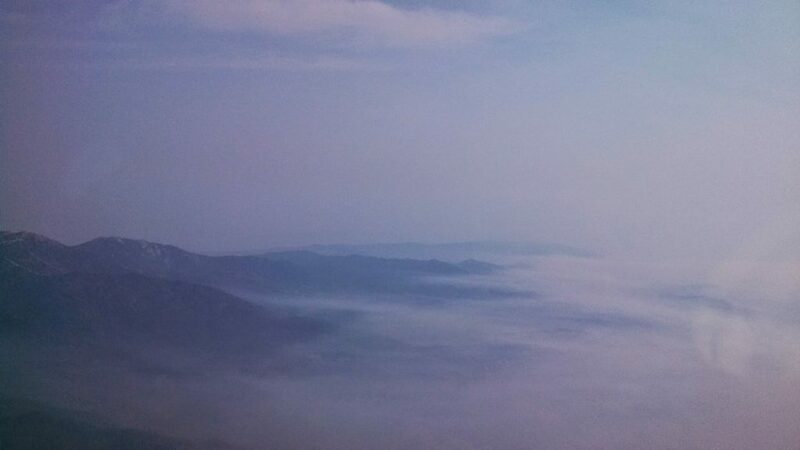 Once over the mountain range, I was able to pick up with ATC and get on flight following. The planned route was direct from Crossville all the way to Leeward Air Ranch as we left our car there with some friends. The Waycross airport is a really great facility. They have a nice pilot lounge with comfy chairs and a good planning room with modern computers. We waited out the storms for a few hours to see if they would move off to the east enough for us to get around them. Since it was near dinner time we borrowed a courtesy car and went into town and got a nice meal. After we returned to the airport, I checked the weather again and the storms seemed to be dissipating some and no new ones were building behind them. 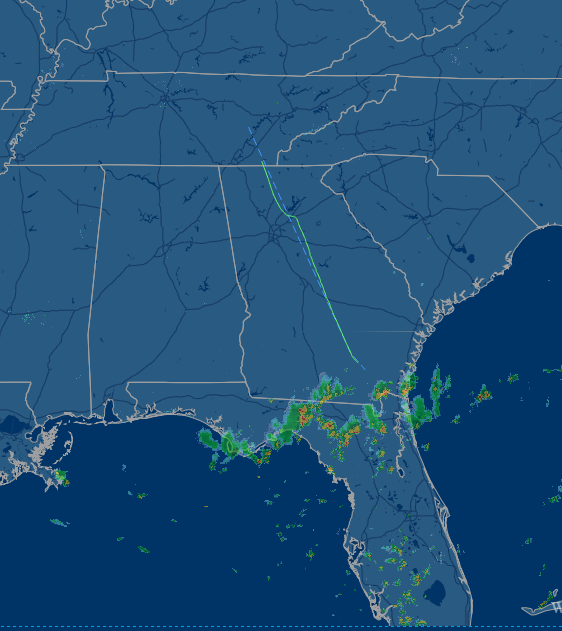 We took off from Waycross and picked up flight following. 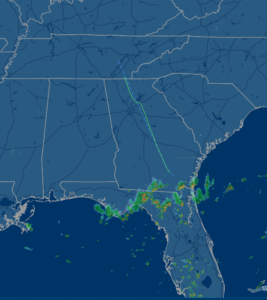 The ATC at Jacksonville advised us that the best route around the storms was to turn east and fly to Cross City Airport KCTY, near the west coast of Florida and then fly somewhat southward until clear. This seemed like a reasonable plan and so we headed out southeastward towards Cross City, which took us just outside the storm. In a strange way it felt good to see familiar cloud formations that were easier to interpret. 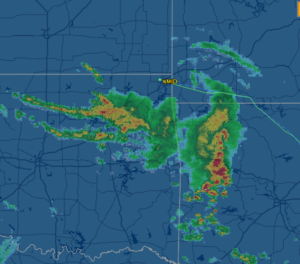 I could tell exactly where the storm ended and where it was safe to fly. We proceeded south from Cross City past the storms until we were clear and then turned towards Leeward Air Ranch. 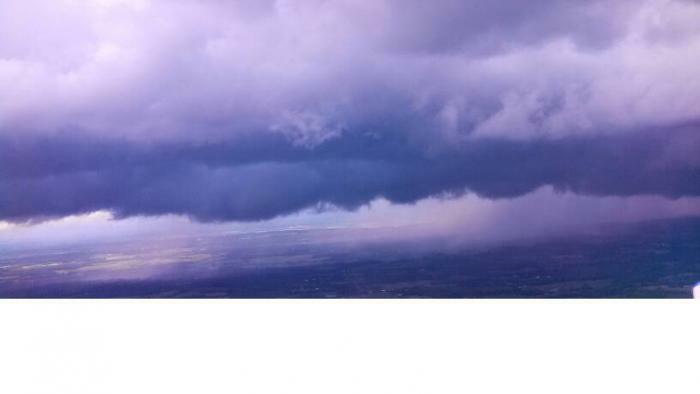 As if not to be outdone, a single storm cloud was just east of Leeward and was dumping rain just west of the runway. This cloud was somewhat unique as it was dumping rain out if it’s side instead of the bottom. Fortunately it was far enough out of our way to make an easy landing at our destination. 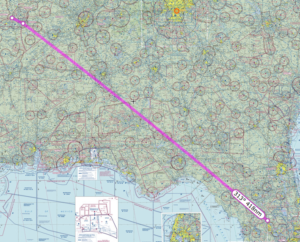 This entry was posted in Flight on September 25, 2014 by WebRuss. 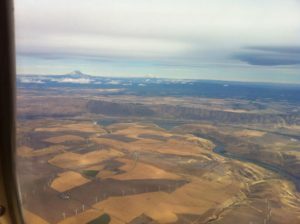 We flew back from KBOI to Johnson Creek in the evening. It is OK to fly in the morning up until about 1 pm and then again after about 6 pm. I was not aware that just about this time in the evening the winds start shifting from the south to the north. In fact, the wind often gusts during this time. I got my first taste of a downdraft & tailwind mixed together. 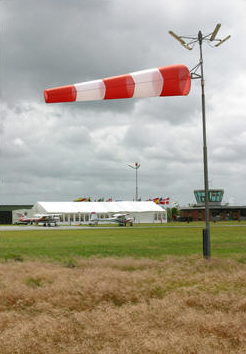 While flying the downwind leg for 17 I observed that the windsock was hanging still. So I continued and planned to land runway 17. As we turned final for 17 and descended I had power all the way out to help with descent as I was again a bit high. All of a sudden we got pushed hard from behind and the nose dropped and the plane accelerated. I went max power and started climbing out for a go around. 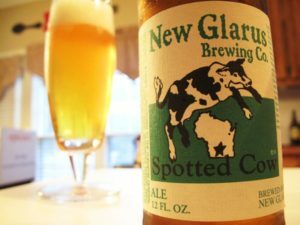 As luck would have it, just about that time the constable from Yellow Pine, the village north of the field, was passing by the field and I guess I flew over his vehicle close enough to make him take notice. He stopped by the airfield to make sure everything was OK. I ended up landing 35 this time as the wind was strongly out of the north. 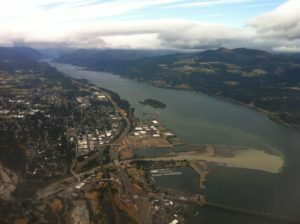 Today we flew from Johnson Creek to Tillamook Oregon via the Columbia River. 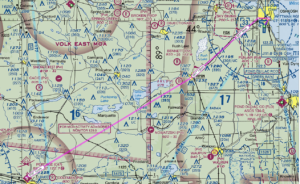 This route is often called “The Gorge” We departed Johnson Creek early in the morning and used the northern pass out of the mountains and flew over to McCall to refuel. We then headed out to the west going to the Baker City VOR BKE and the northwest to the Klickitat VOR. From this point on I was following the Columbia River. 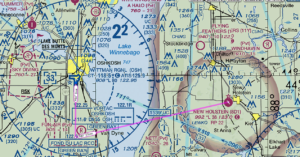 There was a cloud cover at about 1500 feet which required me to drop down below what flight following could track me so we dropped off flight following and went VFR. We needed fuel and the recommended stop was 4S2 – Ken Jernstedt Airfield Airport in Hood River, Oregon, referred to as “Hood River” by the locals. This was a very challenging landing as the wind was gusting at 20 knots down the runway. 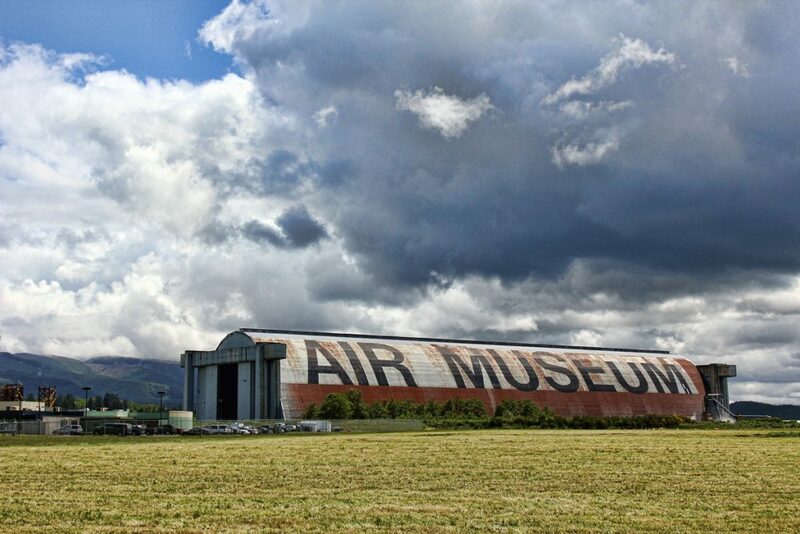 I also found out that there is a huge museum right behind this airfield called Western Antique Aeroplane and Automobile Museum that we missed. After we took off and proceeded west, I contacted Portland Approach and we stayed on with them as far as we could. 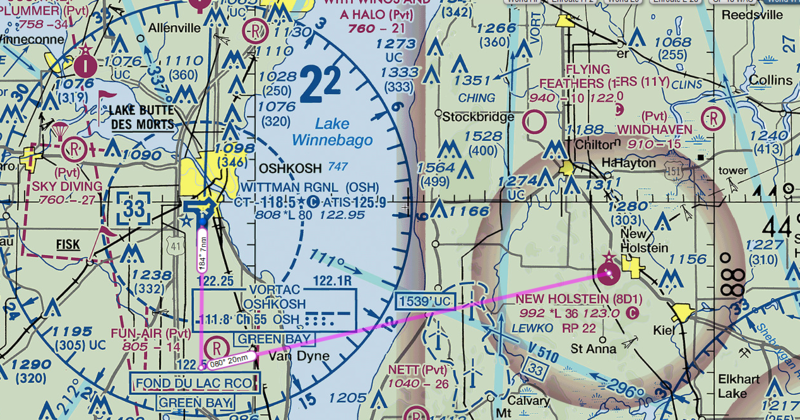 They were really nice and let me cut through the Class C airspace a little north of the airfield and river. The cloud layer was pretty low at this point and we flew along under it at about 1000 feet using the Columbia River as our guide. Then we emerged out from under the clouds and we were almost to the coast. 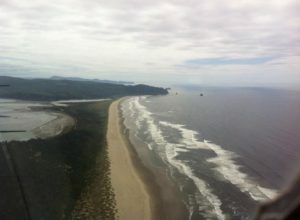 We flew over Astoria Regional Airport, and then turned south down the coast to Tillamook. Sadly the museum did not live up to the hype. 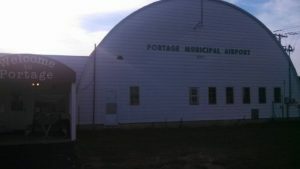 The museum owner had some dispute with the aircraft collection owner and he pulled all his airplanes out of the museum. That was really disappointing. There were still some really cool planes, but I did not get to see all the one I hoped to see. Flying back was pretty much uneventful. Once clear of the low clouds, we bobbed along at about 9500 most of the way. We did get to see something very unique. 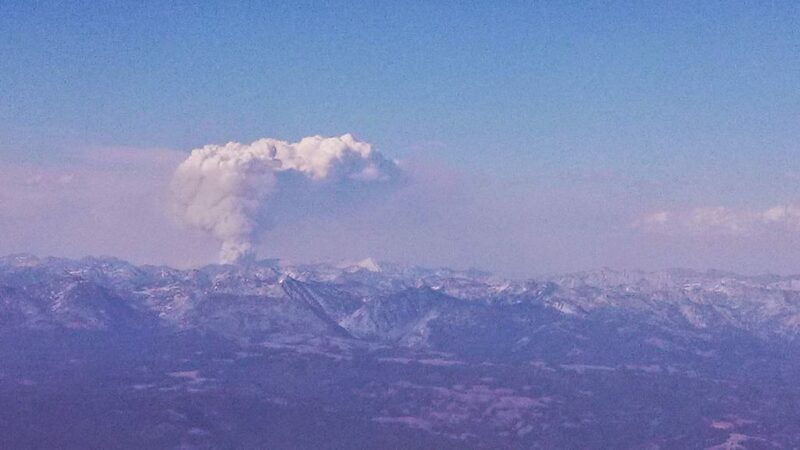 There was a forest fire burning north of our route and it looked like a volcano erupting from the middle of the woods. 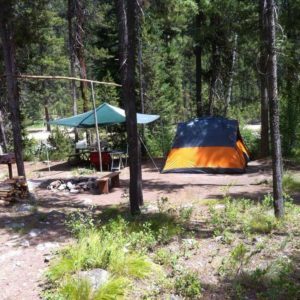 On this trip we flew to the north side of Johnson Creek and came into the airport through the northern pass, which starts just east of the McCall airport. 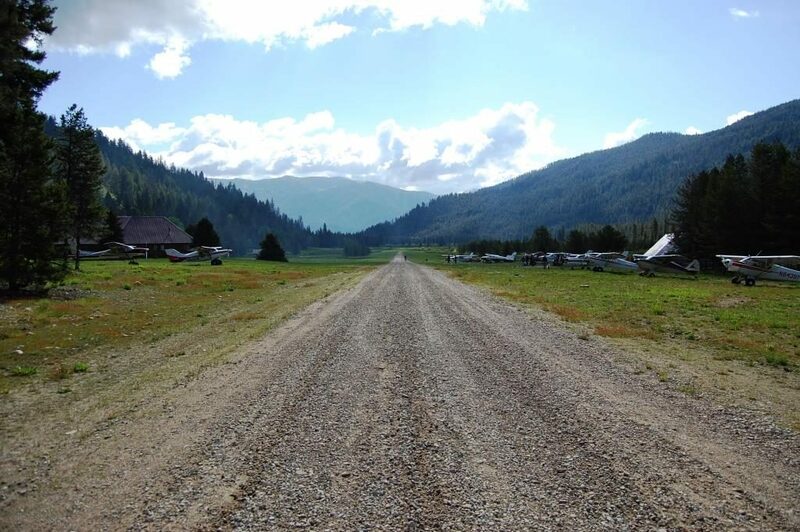 There is a road which follows the river all the way from the town of McCall into Yellow Pine. 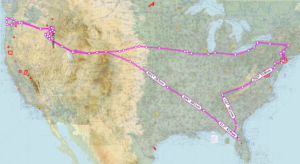 I wish I had video as the experience of flying through this route was spectacular, however my camera operator and wife did not enjoy the experience as much as me. We were flying at about 6500 feet with peaks all around us and narrow deep valleys This made her a bit nervous. 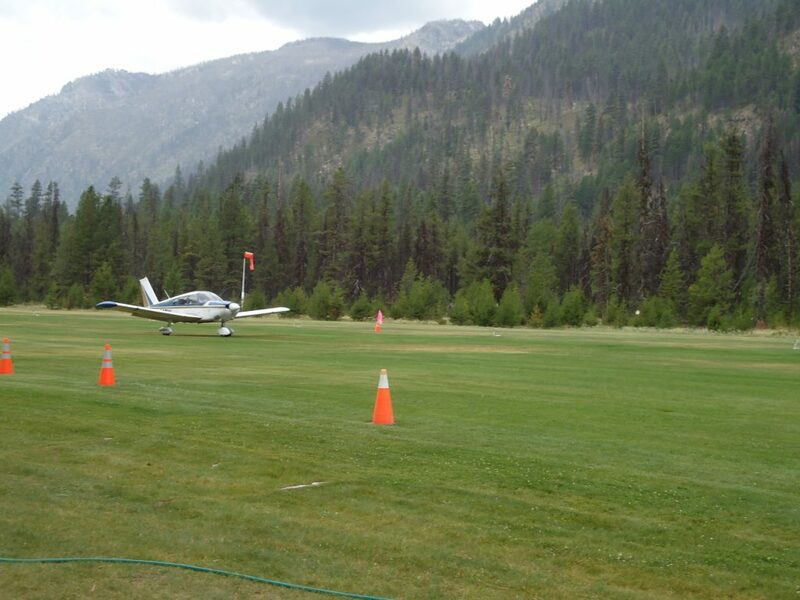 This landing at Johnson Creek was uneventful. This was out last night at Johnson creek and we planned to depart and start heading east. 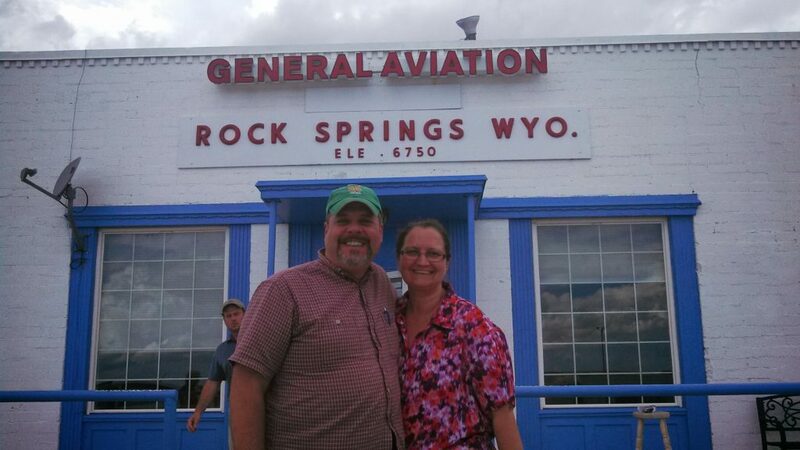 This morning we departed from Johnson creek and flew to Rock springs. It was sad to go as we had such a great time there. The care takers Phil and Roxie are some of the best folks I have ever met. 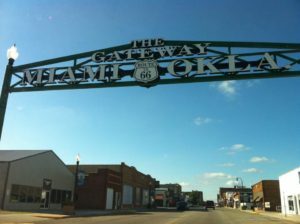 They really do a great job keeping that place clean and running smoothly. I want to mention my death defying takeoff, not to brag but as a learning point. We were 200 lbs under gross weight and the time was 7:30 am and density altitude was 5900. I had to do a combo soft field into a max performance takeoff just to clear the trees. 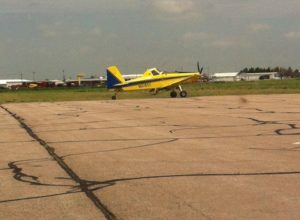 I will admit it frightened me when I had to yank the plane into the air and then ride just above stall at about 50 fpm. Then slowly and I mean ever so slowly creep over to the canyon wall and use the updraft to gain altitude. 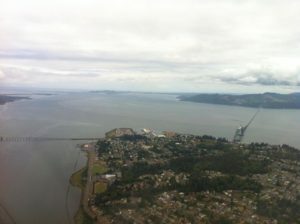 Once we got going and I calmed down from the takeoff, the rest of the flight was good. We flew south out of the mountains and made one last stop at Payette S75 for a full tank of that inexpensive mogas. 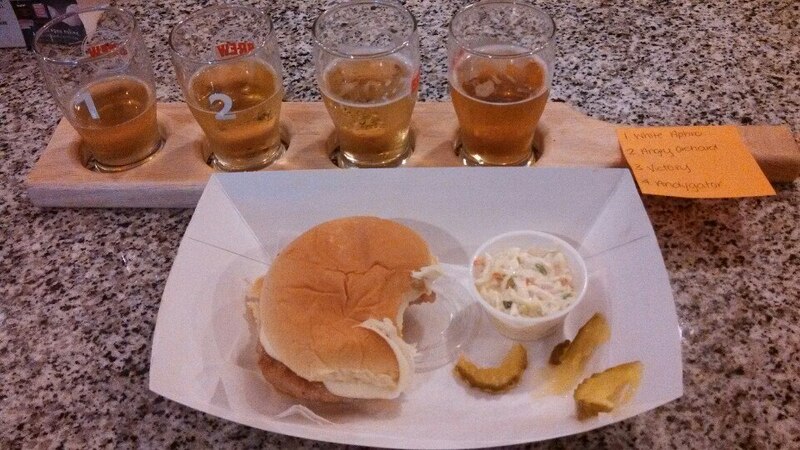 We picked up flight following as we traveled southwest towards Biose and I am glad we did. They were able to help us get around some rain storms on our intended path. 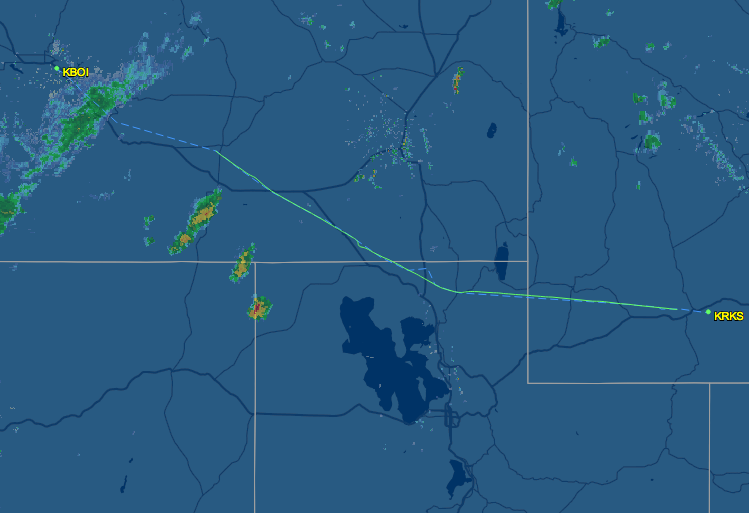 Once we got past the rain in Boise the skies were clear and the tail wind was something! 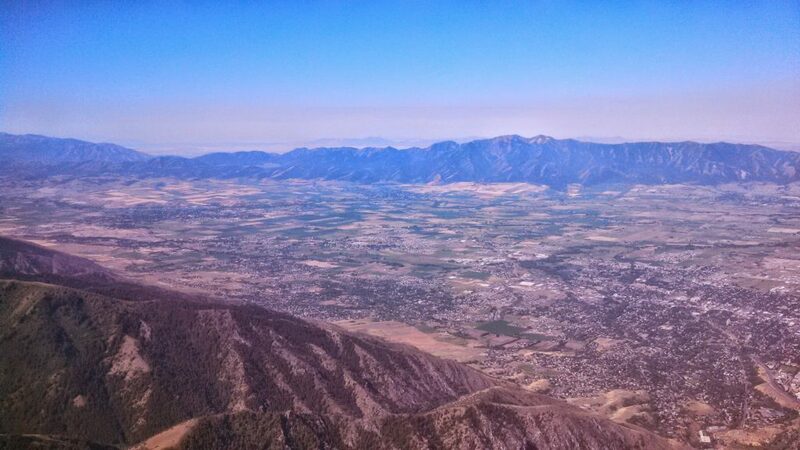 I tried to keep an average altitude of 10,500 but that was difficult due to the lumpy air. Air speed indicator showed about 90 knots. 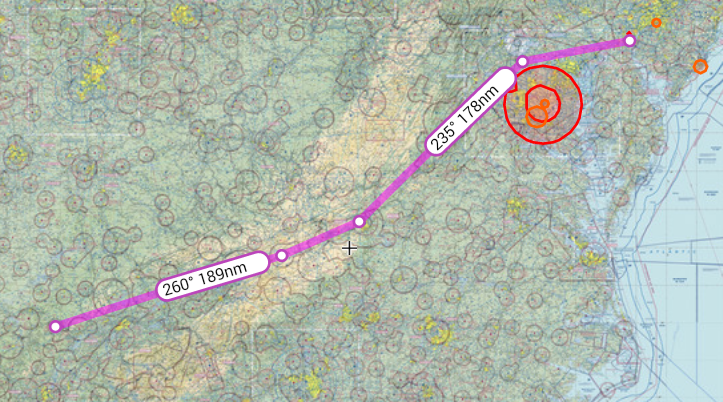 The GPS showed a ground speed of about 120 knots! Must admit it was a bit rough going and my arms were tired from fighting the turbulence. 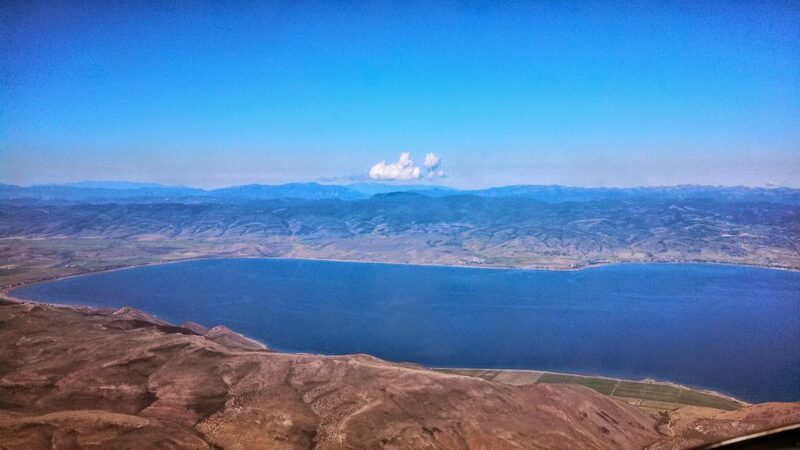 We did however, get a nice look at Salt Lake Utah in the distance as we headed back to Rock Springs. 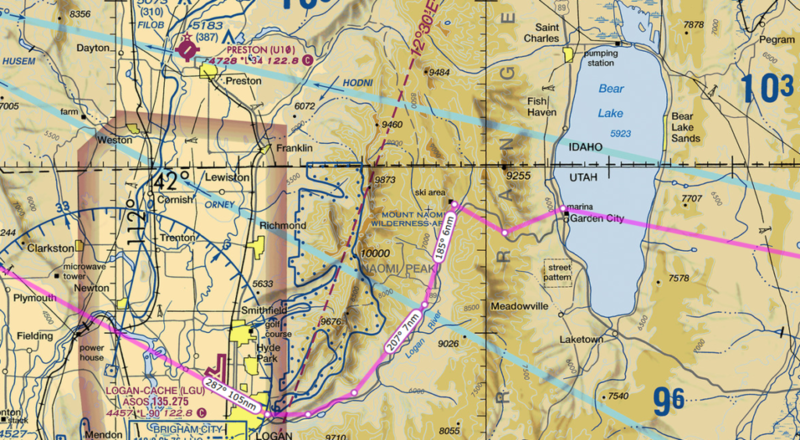 This time our landing at Rock Springs was on that huge runway 27. I had to keep telling myself that I was at the proper pattern altitude because the runway was so big and it looked too close. 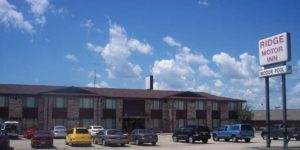 We spent the night in Rock Springs at the Holiday Inn Express and then flew out early in the morning. I knew that the takeoff would be a very slow climb so I was prepared for it. I did not use flaps and just let the plane roll down runway 27, it is plenty long, until it was ready to fly and then slowly climbed up. Going east was much easier as there is no steep mountain to clear and a nice open valley to follow along through the mountains. I essentially followed highway 30 all the way out of the rocky mountains. 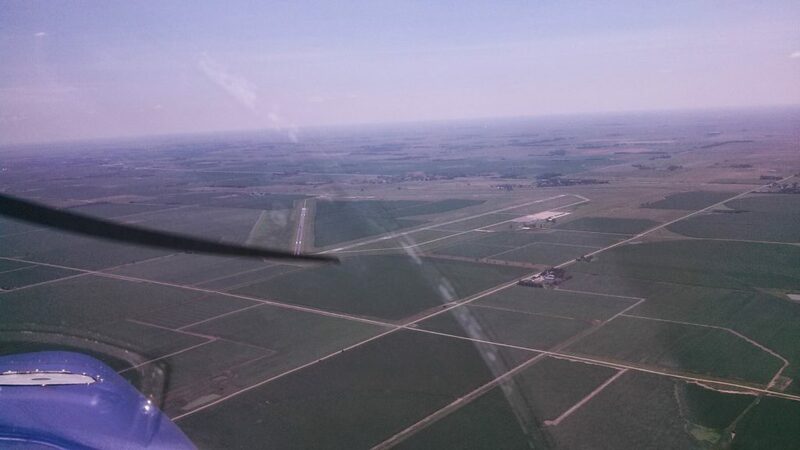 Once we exited the rockies, I flew almost due east then turned slightly northeastward to our refuel stop of KANW Ainsworth Regional Airport in Ainsworth, Nebraska. One interesting fact about this little airport is that the FAA has a big office here and I believe several flight service folks work at that office. However I did not see them as they were behind locked doors. The FBO did have a really nice pilot lounge and some really comfy couches, which made for a nice snack break. 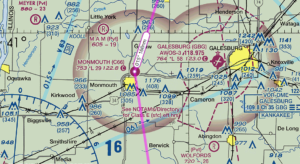 Ainsworth Regional Airport was just about on the edge of the terrain change. Once east of this airport everything started getting greener, and a whole lot closer to sea level. I was able to fly at lower altitudes and get bounced about much less. 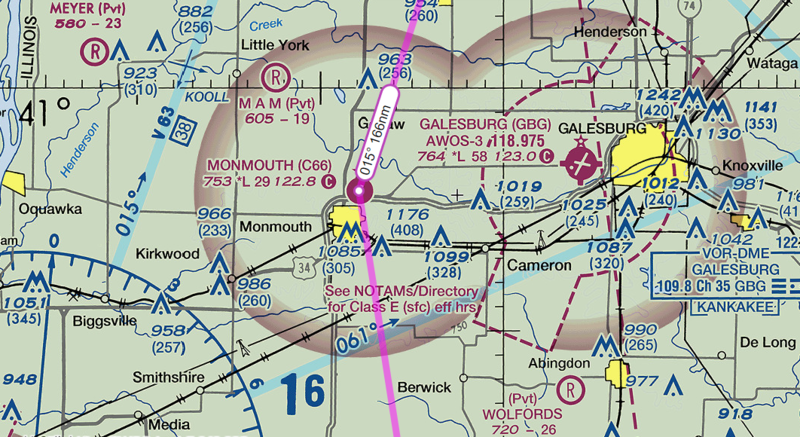 From Ainsworth Regional Airport we continued east at a considerable speed, we got a 30 knot tail wind for an average of 140 kts ground speed, to our evening stop of Davenport Municipal Airport in Davenport, Iowa. 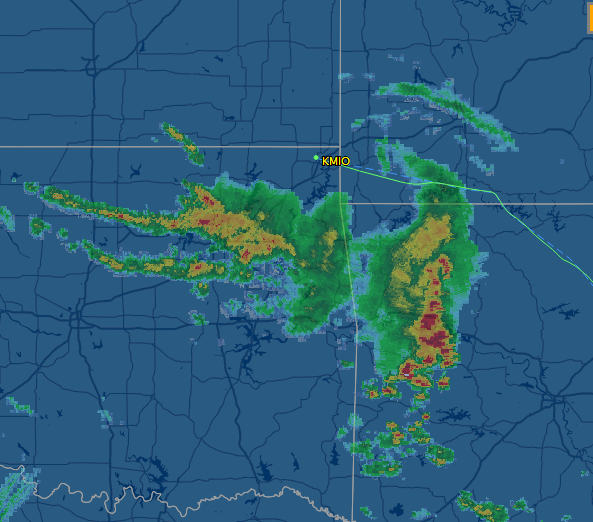 We did encounter a few light rain storms that forced some course deviations on the way to our next stop. As always I was on flight following and they were a big help. 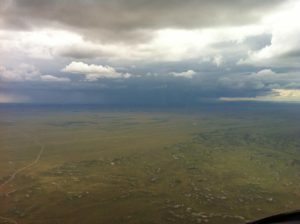 They even asked me for a few PIREPS as we passed close to a few of the storms. 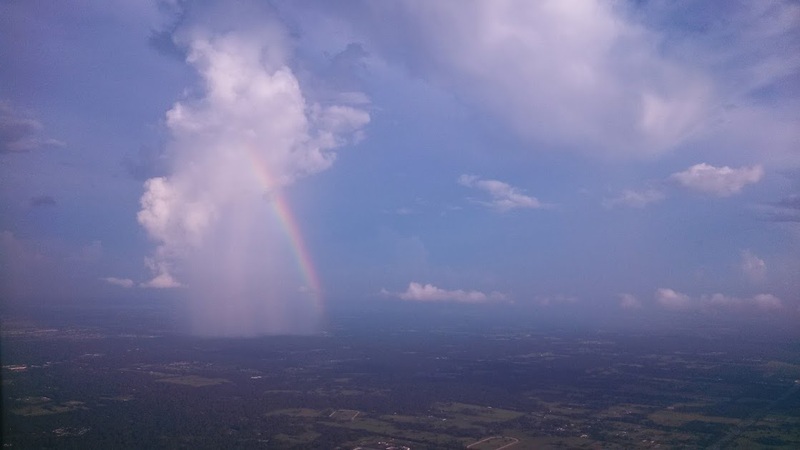 I thought it was cool that many other pilots got to benefit from my sharing about the storms, their intensity, tops and bottoms and the air conditions around them. The landing at Davenport was a bit of a challenge. There were storms in the areas and the wind was a right quartering cross-wind gusting at about 17 knots. I really had to work hard to get the plane down safely on the runway. I had my right foot all the way down on the right rudder and it was still not quite enough to keep us straight. I added 8 knots, half the speed of the crosswind, to my airspeed so I was landing at about 78-80 knots. With that extra speed I had to work a bit harder to get the plane down to the runway. In the video you will notice my hand on the dashboard. 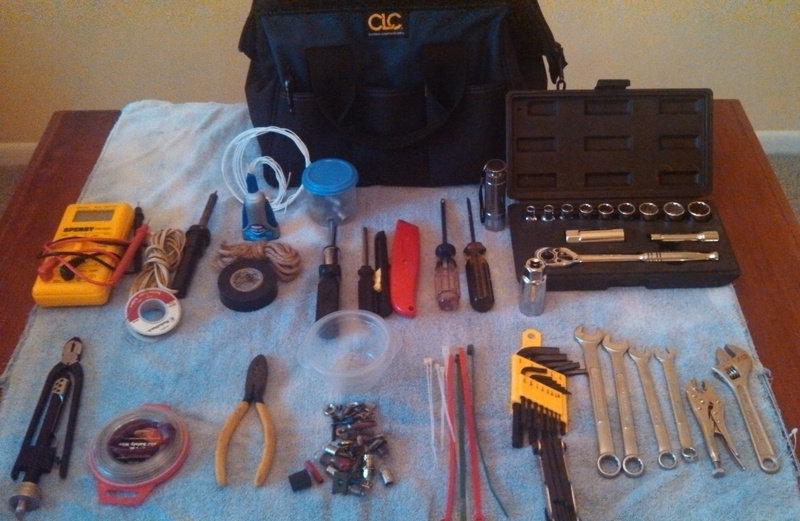 That was to help keep me steady as I fought the crosswind. After landing you will notice that we get pushed to the left and I have to steer the plane back to the center. The folks at Davenport were super nice. Since I bought gas and planned to spend the night, they loaned us a crew car to take to our hotel. This car was a couple of notches above the average courtesy car we normally use. This was a super nice, late model American sedan with plush leather seats and super good A/C. Another amazing bonus was a Cracker Barrel restaurant right across the parking lot from our hotel. As luck would have it we had a gift card for Cracker Barrel and feasted like kings!